Saturday Is Caption Day With Gok Wan…. This was taken in Madame Tussauds last year but can you think of a caption?…. "Almond Cookies with Cherry Yogurt Icing…"
'you are gorgeous and should celebrate that everyday! Now strip down and we'll take your photo starkers'Great idea, would love if you popped by and shared at my party. Seriously Gok, what does that woman think she is wearing? Shall we help? Not impressed by Gok Wan and Jamie Oliver's new venture – How to cook good naked ? Up close, Gok had improbably shiny smooth arms. If I just link arms and pretend we are together I should be able to sneak you out with no problem! Hey Gok Wan-a split this joint and see just how good I look naked? 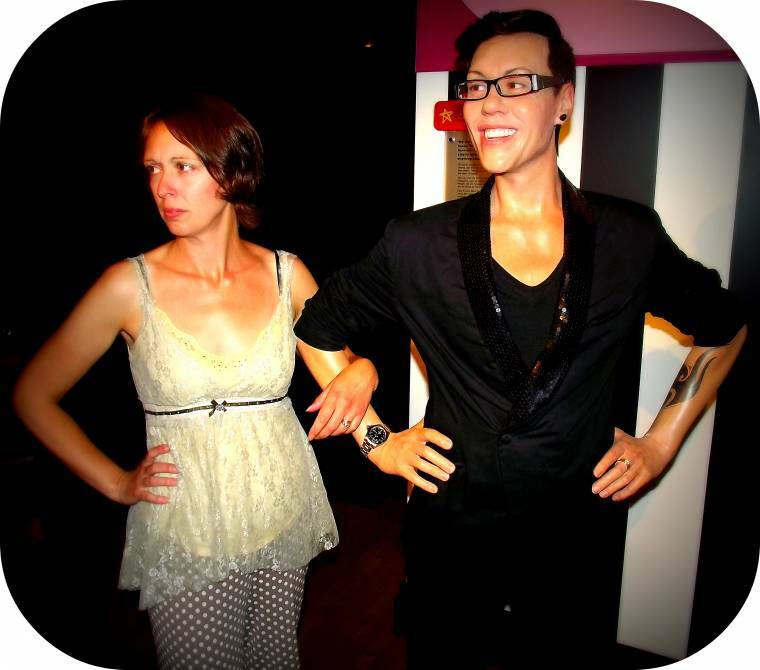 After being immobilised by that one shot of botox too far, Gok had no choice but to make his living at Madam Tussauds.